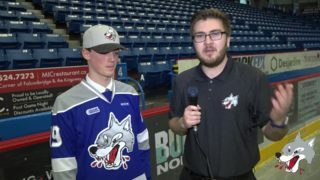 The Sudbury Wolves extended their win streak to 9 games when they welcomed their Northern rivals, the North Bay Battalion for a rare Wednesday night matchup. In a physical battle, Isaak Phillips scored two goals to help the Wolves take down the Battalion. 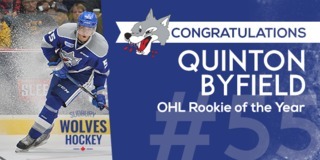 The final score was 5-2 for the Wolves with shots on goal 39-26 in favour of Sudbury. Other Wolves goal scorers included Macauley Carson, Adam Ruzicka and Shane Bulitka. Isaak Phillips, Ukko-Pekka Luukkonen and Adam Ruzicka earned first, second and third stars of the game. Isaak Phillips had a standout game and played a very strong first and second period in which he scored his second and third goals of the season. Phillips put the Wolves on the board midway through the opening period to take a 1-0 lead on the Battalion. 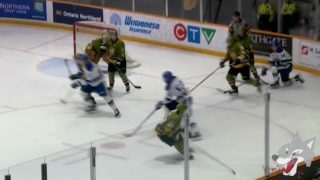 North Bay was extremely quick to respond as Brad Chenier was sent on a breakaway and beat Luukkonen to tie the game at one. 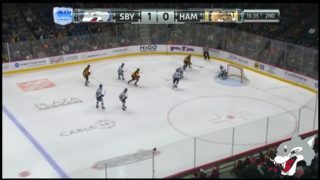 Brandon Coe added another one for the Battalion to give North Bay a 2-1 lead to end the period. The pack picked up the pace in the second period, taking every lucky bounce and tossing it right into the back of the net past Christian Propp. 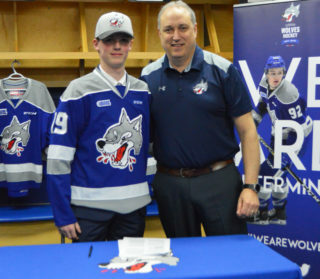 Isaak Phillips notched his second of the game while Macauley Carson and Adam Ruzicka fired in the other two goals for the Wolves. After 40 minutes of play, the Wolves led the Battalion 4-2. It was a more physical third period as a few pushing matches broke out between the two rivals. 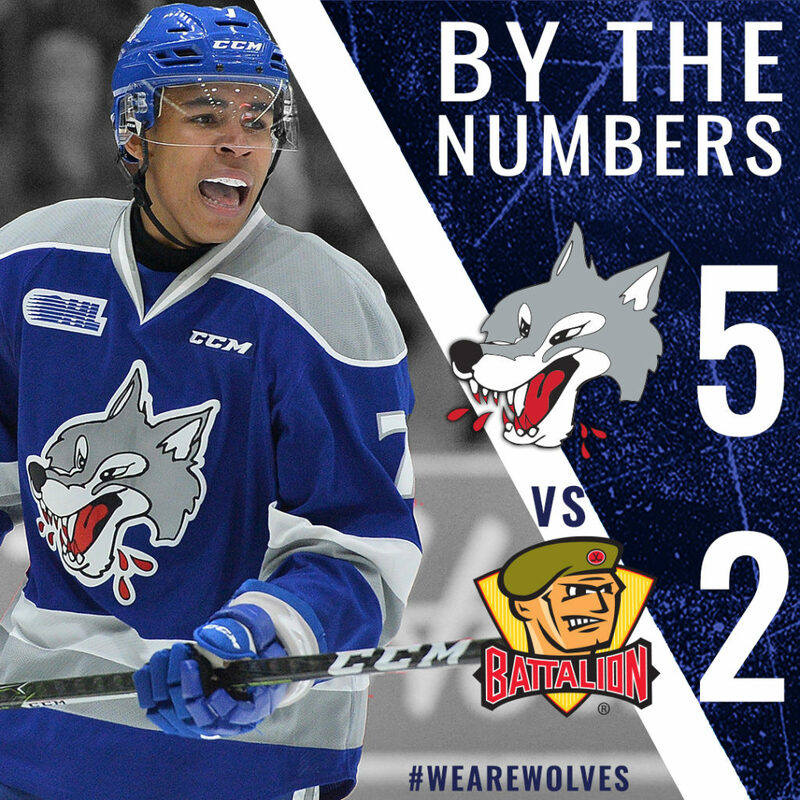 Despite their best effort, the Battalion were unable to catch the Wolves lead. Luukkonen had a busy night between the pipes, stopping 34 of the shots sent his way. Shane Bulitka insured the win by marking his 16th on the season with a pass fed to him by Adam Ruzicka. The Wolves spidey senses will be tingling as they look to extend their nine game win streak to ten when they take on the Soo Greyhounds in the 4th annual Superhero Game on Friday at 7:05pm. Fans are encouraged to wear superhero costumes to the game. Kids 12 and under wearing a costume will get into the game for $12 and $2 popcorn. 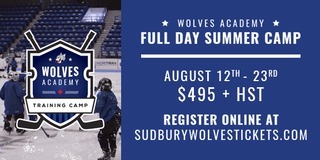 Tickets are on-sale now at the Sudbury Arena Box Office and online at greatersudbury.ca/tickets.